There are interesting modern consequences of the widespread use of allegorical interpretation in the history of hermeneutics. 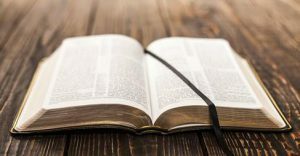 In Protestant circles, poor interpretations of the Bible are now often labelled as “allegorical” or “allegory,” even if they are not properly examples of allegorical interpretation. Allegorical interpretation is perceived to be an approach that was left behind at the time of the Reformation. In Catholic circles, the Catechism of the Catholic Church defines the allegorical sense of Scripture in a way that is not properly allegorical at all. It defines the allegorical sense of Scripture as if that sense has to do with typology (see quotation below). In this post and the next, we will look at a few examples of the confusion of typology and allegorical interpretation. Then, we will look at examples of interpreters who could tell the difference between them. In order to proceed in this way, we should review our definition of allegorical interpretation (from the Philo post). Allegorical interpretation brings out a “deeper meaning” for a religious text. This deeper meaning generally shows that a certain text is actually teaching some valuable moral truth that differs quite significantly from the literal meaning (or surface meaning) of the text. In contrast, typology is the aspect of biblical interpretation that treats the significance of Old Testament types for prefiguring corresponding New Testament antitypes or fulfillments. Events (like the Exodus), persons (like David), or institutions (like the Temple) are common categories for Old Testament types (see my post on typology). In short, allegorical interpretation generally aims at bringing out a moral meaning that is hidden under the surface meaning, while typology has to do with salvation history and the fulfillment of the Old Testament types. Confusion between allegorical interpretation and typology could arise easily from reading the Epistle of Barnabas (end of 1st century?). Epistle of Barnabas is an early Christian work (an example of Christian pseudepigrapha) that provides many examples of allegorical interpretations in close proximity to typological interpretations. It contains examples of “bad typology,” that are quite suspect, but they are nonetheless not examples of allegorical interpretation. Here are two examples. Which one is typology and which is allegorical interpretation? If you do not know the difference between typology and allegory, then you might think that both of these are examples of allegorical interpretation. Notice that the example of allegorical interpretation does not need the literal sense at all in order to draw out its deeper moral meaning. The deeper moral meaning has little to do with the literal sense. The example of typology (bad typology) does draw upon the literal sense in order to predict Christ. For there to be typology, the type must correspond to the antitype, and this correspondence relies on the literal sense. One can see the confusion of typology and allegorical interpretation in the Catechism of the Catholic Church (1994, section 117). The “allegorical sense” is described with the following statement: “We can acquire a more profound understanding of events by recognizing their significance in Christ; thus the crossing of the Red Sea is a sign or type of Christ’s victory and also of Christian baptism” (1 Cor. 10:2). Notice that this is not allegory at all, but typology. Excerpts from Epistle of Barnabas are from Ante-Nicene Fathers, vol. 1. Catechism of the Catholic Church. Rome: Urbi et Orbi Communications, 1994.